Kim Junsu (XIA) will have his encore concert. XIA’s Asia tour Seoul concert sold out in 15 minutes as its release and it proved his tremendous popularity. He made his special memory with about 14,000 fans on March 7 and 8. Moreover, as his new album ‘FLOWER’ swept the music charts, XIA and his agency decided to hold encore concert in Seoul. Meanwhile, XIA’s Seoul encore concert tickets will be available on March 27. Following his comeback with the song “Flower,” JYJ‘s Junsu gifted fans with a video performance of “Flower” from his 2015 XIA 3rd ASIA TOUR CONCERT IN SEOUL ‘FLOWER’. During the video, a sea of fans can be seen filling the stadium where his concert was held, and cheering Junsu on. 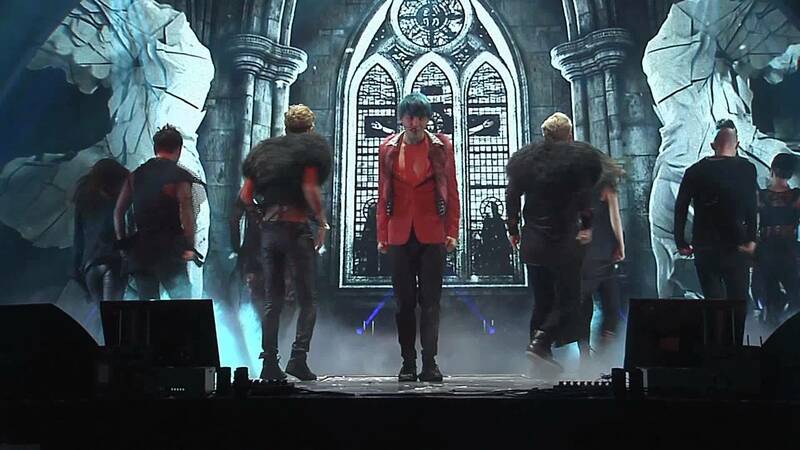 Throughout the performance Junsu dances perfectly in sync with the rest of the dancers while showcasing his powerful vocals on stage. Later in the song, Tablo is seen entering another stage platform when it comes to his rap part, adding more excitement to the performance. [FACEBOOK] 150320 JYJ Official Facebook Update: Expect XIA Junsu’s ‘꽃/Flower’ perf in Seoul, tomorrow! [TRANS] XIA who rose as a candidate in the No.1 spot on terrestrial music broadcasts! [TRANS] XIA Junsu’s 3rd solo full album! We are planning on releasing XIA Junsu’s title song stage from the Seoul concert on YouTube! Title <꽃/Flower> ‘s stage to be evaluated as the best performance! Tablo: Yesterday, we attended a concert for the first time in a long time as 3. Tablo: Junsu. Kim Junsu. I appeared as a surprise guest too. During his concert, there is a wishing segment..
Tablo: Yes, a time when fans wish for something and Junsu grants their wish. It’s a really good idea and we’ll do that in our concert too. Tukutz: Yeah we’ll use that idea too. Tablo: Yes. You had your hand up for a long time. Tablo: You were like “me me me!” What did you want to wish for? Tukutz: Well, I put up my kind of like a performance as a concert-goer. I was going to think of a wish if I got picked. Junsu: For this album, I tried hard to cover a range of genres in it. Could you feel my effort? Junsu: For X Song today, I’ve changed my outfit. Junsu: (chuckles) You all… What I’m guessing is probably right. Usually the audience’s cheering is louder when I face the front instead of the back, but it’s the opposite when I perform X Song. Junsu: When I sing… mm… Men and women are the same.